When I was a kid, most of my reading was non-fiction. My classes at school required book reports and I always drifted towards the ones that seemed like a double helping of homework. I liked books that explained complicated things in terms that I could understand. So while other kids were getting started in the likes of Goosebumps, I was sitting with copies of Isaac Asimov’s Library of the Universe – and I didn’t figure out he was also a fiction author until years later. But, when I got home and my reports were done, I had a pretty extensive collection of comics for a kid. Specifically, I collected every issue I could find of one character in particular. It may be hard to imagine in today’s era where Iron Man rules the movie-verse and is beloved by millions, but back in the day the guy had a bit of a niche audience. He wasn’t the flagship hero like Spider-man or Wolverine, he didn’t have a long legacy of classic writers behind him, and his runs on TV had never quite taken off in the same way other characters had. But to me he was perfect. A science based hero with a suit of armor that he built himself, using technology to help the world in the same way the books I read at school said we could. He was the guy who would find a way to fix the world’s problems using the one superpower we all really have – our ability to create tools. And only a few years after I started reading Iron Man I found out who created him (which was a feat before the internet became common place). 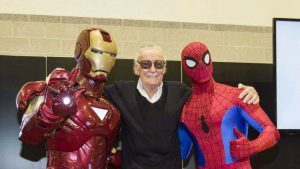 A group of four guys came together to put together the first appearance of Iron Man: Larry Lieber, Don Heck, the legendary Jack Kirby and, of course, Stan Lee. 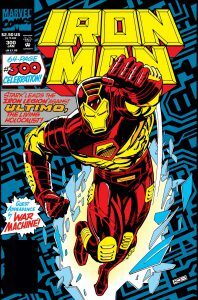 And the story of how Iron Man came to be taught me a lot about writing and a lot about how we should approach characters. 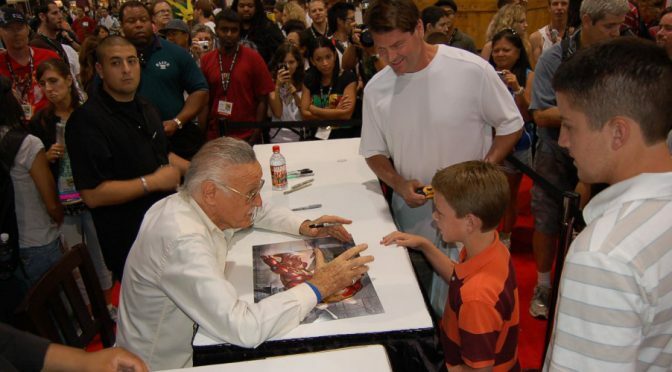 Stan was great at doing something few other comic creators knew at the time (and many have struggled with since). 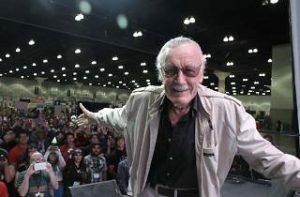 For all the fantastic powers and all the great adventures that they were having, all of Stan’s characters were still basically human and still quite flawed. Spider-man gets the most acknowledgement as being “just like us”, as he fights through his every day struggles, but he wasn’t the only character to show us humanity in a world that was normally superhuman. The Hulk’s entire character arc centers around the struggles we have with our own worst desires, The Thing has always struggled with finding acceptance in a world that doesn’t easily accept being different, and the X-Men were facing a world where they were clearly the minority. In a world where it’s so easy to boil you down to a simple archetype, it was an impressive task to make people really love Tony Stark. As a writer, I look back on it and realize that it means the many facets of a character can be more important than the archetype it was built on. On a societal level, I realize it means people that I would have an easy time demonizing are probably just as confused and flawed as I am once you get past their bad deeds. On a personal level, Iron Man showed me that it was never too late to make up for your past mistakes and that people can fix almost anything if they’re just willing to do something about it. And, as a kid, several of the characters Stan created, particularly Peter and Tony, taught me that it was okay to be the kid in the corner with the science books. And I know a lot of people found some solace in Stan’s characters like that. But, more importantly to my adult life, he taught me a lot about being a writer in general. Though his writing style was a little haphazard and you could argue that it is severely dated, the man’s characters generally outshone his style. He reveled in putting the underdogs and flawed people in places usually reserved for gods and literal supermen. He very rarely, if ever, created that archetypal superhero who could stroll through life without problems. He created characters who sometimes struggled to do the right thing and considered giving up because it was just too hard. And on a more human note, when it came to his fans, he greeted them with the kind of energy that let you know that he appreciated you being there. A lot of creators start to become jaded by the interactions they have with their readers or viewers. It’s easy to focus on the critics more than the fans. 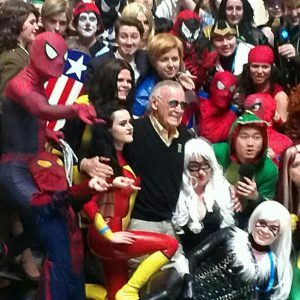 But Stan stepped into every event, cameo and interview like it was an honor to be there. Part of that, I imagine, was the fact that he was just a great showman at heart, but part of that was because he recognized how blessed his life had been to play his particular role in our culture. He said it himself many times over the years – he loved his job and he knew it was fantastic that he got to do it. And it was a job he almost didn’t really have if not for the fact his wife Joan (who sadly passed a couple years before him) had convinced him to write the stories he wanted to write and not the stories that the publisher was insisting on. She basically told him to follow his heart and he followed it right to us – an audience no one thought existed at the time. 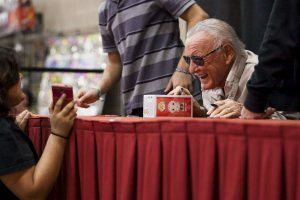 Was Stan himself and his love of the world and community he helped build.